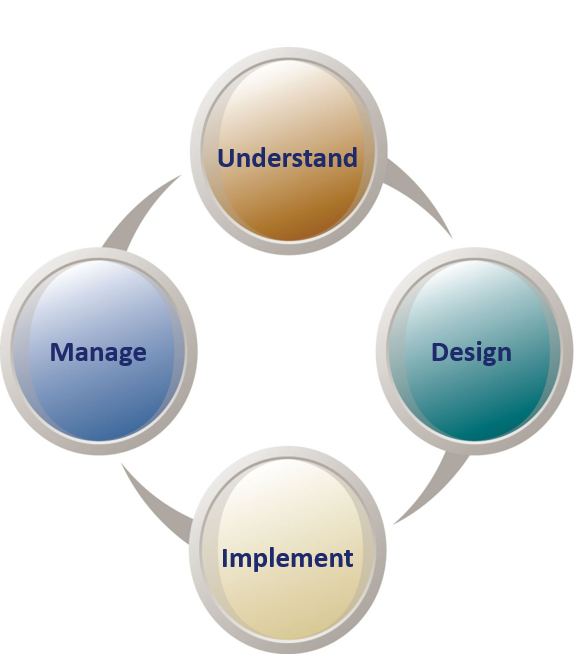 We employ a disciplined process to craft solutions to meet the many unique needs of our clients. We use a variety of tools including questionnaires and interviews to understand your personal goals, current financial situation, investment experience and risk tolerance. In this step, we make you fully aware of our capabilities and provide educational support to assist our clients in understanding the scope of services we offer to help you meet your objectives. Our team analyzes the information you share with us and designs solutions intended to help you reach your objectives. This step may involve collaboration with other specialists or your existing professionals. We present our recommendations to you, answer your questions, consider alternatives and outline the steps we need to take to implement your plan. In this step, we execute your customized strategy using the extensive tools available to us. This involves the selection of specific account types, investment products, managers and optional services; we then complete the necessary paperwork in a coordinated approach. Once implemented, we continually monitor the progress of our recommendations relative to your defined objectives and suggest changes where needed. A key to this step is your involvement in the process and communication of any significant changes in your life. We accomplish this by providing ongoing reporting of your account activity and by conducting periodic reviews.